With a majority of the patent applications filed in India being either by foreigners or NRIs, the National Research Development Corporation (NRDC) has decided to encourage young talent to improve the ranking of the country in patent index, its Chairman and Managing Director H. Purushotham has said. Giving the details about the the Global Innovation Index managed by World Intellectual Property Organisation (WIPO), Mr. Purushotham said India is at the 57th place. In patent filing, India is ranked 10th and among the States, Andhra Pradesh has improved its rank from 11th to 10th, with Maharashtra and Karnataka occupying the first and second positions followed by Telangana at the fifth place. Before bifurcation, the undivided Andhra Pradesh was ranked fifth owing to the location of premier R&D institutes in and around Hyderabad. While the patent index is prepared by the WIPO, it is being done by the Indian Patent Office in the country. 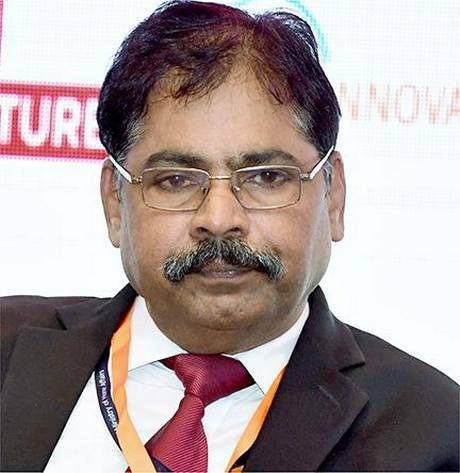 “The Department of Science and Technology has announced a cash prize of ₹1 lakh for each patent, ₹50,000 to researchers for publishing peer reviews in foreign publication and ₹20,000 in domestic publication,” Mr. Purushotham told The Hindu on Monday. It was unfortunate that of the 50,000 patents filed in India every year, almost 75% to 80% were applied by either foreign companies or NRIs. To create awareness on Intellectual Property Rights (IPR), the NRDC was organising many educative programmes on patents, trademarks, designs and copyrights, he said. “The NRDC recently announced student startup awards under ‘Innovation India Programme’. Ideas and prototypes need to be submitted to the NRDC by February 10. A cash award of ₹50,000 will be given away to the best entry in March while the second and third best entries will get ₹40,000 and ₹30,000 respectively. Two consolation prize winners will get ₹10,000 each,” Mr. Purushotham said. The NRDC also gives tax-free awards of ₹3 lakh each to three persons for IP-driven and innovation in high-tech area. The National Budding Innovator Award has been instituted for students. A cash prize of ₹1 lakh each is being given to five students. “Our objective is to spread innovation culture and increase the ranking of India Global Innovation Index,” he said. The Centre has already enhanced the amount for fellowships by 25% to 35% to encourage talent to pursue higher studies and undertaking research,” he said. In-charge of NRDC Intellectual Property Facilitation Centre at Innovation Valley, Bijay Kumar Sahu said they had signed into MoU with Andhra University, GITAM Deemed to be University and premier engineering colleges for holding IPR workshops and handhold around 60 young entrepreneurs to file patents for their innovations and commercialise the technologies.